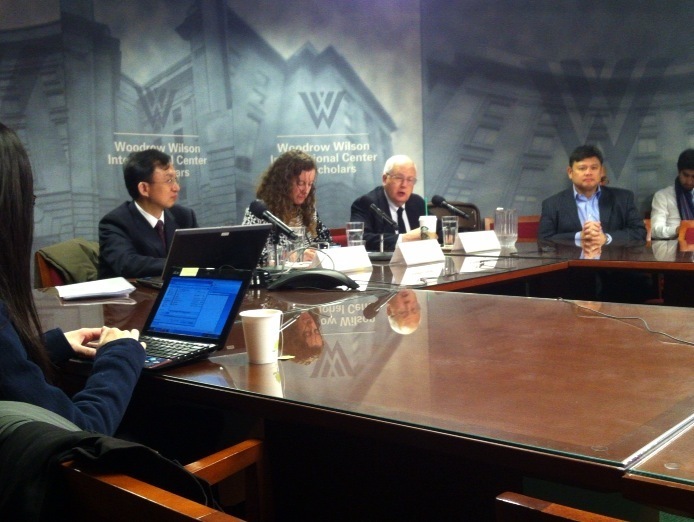 What strengths and weaknesses does Chinese environmental law embody today? Catching up on this post as we speak March 2013 after more research, many distractions. I’ll complete and post afresh within a week. Especially on point in view of my presence at Wilson Center‘s Kissinger Institute forum. This entry was posted in Petroleum Planet, U.S. Economy, [Im]pure Wired Politics and tagged Asian Development Bank, China, China. environment, chinese environmental law, Dr. Jennifer Turner, Dr. Xuedu Lu, environment, Environmental law, Environmental Law Institute, Guizhou, iPhone, jurisdictions, jurisprudence, Label, Law, North Carolina, Organizations, Qingdao, Services, Shandong, Vermont Law School, Vice President of the United States. Bookmark the permalink.